Battery production is big business: the market is estimated to be worth around €250 billion a year and a slew of recent initiatives have been designed to help Europe get its piece of the action. Under new plans revealed by the European Commission, the idea is to produce as many batteries as possible in Europe itself, relying as much as possible on materials sourced here. Presented at the same time as brand new rules on CO2 emissions from trucks last week, the Strategic Action Plan for Batteries is intended to build on the work already achieved by the European Battery Alliance, launched last October. The EU executive’s biggest battery fan, Vice-President Maroš Šefčovič, told EURACTIV that work should have started even earlier given the strategic role batteries are set to play in the e-mobility revolution. But the Slovak Commissioner is adamant that it will pay off. “I have to say that I’m enthusiastic and impressed by how the battery alliance has hit the right spot. We got the right people in the room,” Šefčovič said, adding that “there were 80 companies, now there are 120 industrial actors”. The new Action Plan, largely based on recommendations made by industry, lays down a comprehensive roadmap that includes assessing the availability of raw materials in 13 countries, coupling renewable power to battery production and improving standards. It also reiterates the funding still available in this financial period for research and innovation: €110 million is still up for grabs for purely battery-related matters, while as much as €2 billion could be claimed from the European Innovation Council for “next generation projects”. The European Investment Bank recently agreed to pump over €50 million into a planned battery factory in Sweden, which is helmed by former Tesla employee Peter Carlsson. That would complement an already-up-and-running facility in Poland, which is Europe’s largest battery plant. Šefčovič also revealed that the Commission will aid prospecting efforts in Portugal, where lithium deposits, a crucial ingredient in electric vehicle batteries, are plentiful and Finland and Sweden, where cobalt can be “surprisingly” sourced. However, the EU is not the first to target full domestic production of raw materials. EV juggernaut Tesla has stated that the company wants to make its batteries using 100% North American-sourced ingredients. But the only significant supply is of nickel, from Canadian mines. On the plus side, batteries are meant to help Europe decarbonise the economy and hit its Paris Agreement targets but the supply chain is still afflicted by a number of other sustainability and environmental concerns. Most cobalt is mined in the Democratic Republic of Congo and the majority of flake graphite comes from Chinese mines. Neither country is known for its full adherence to human rights or strong working conditions. That is why the Action Plan insists that the EU will use its free trade agreement framework to ensure responsible mining is undertaken in third-party countries. At the end of 2018, the Commission will also engage with member states to assess their raw material policies. NGO Transport & Environment backed the Plan’s focus on sustainability, agreeing that its “swift implementation” will boost European competitiveness. But T&E warned that a lack of sales targets for EVs in draft legislation risked undermining the Commission’s efforts, as manufacturers “seeking to invest in the European supply chain need to be confident about the size of the EV market”. But the Action Plan has already fallen foul of criticism that has also been levied at other transport and energy-related initiatives proposed by the Commission; namely, that it discriminates against other forms of technology. The European Association for the Storage of Energy (EASE) welcomed the strategy’s publication and the Berlaymont’s support of the battery sector but called on the plan to be broader. That was a sentiment echoed by the International Lead Association (ILA), which criticised the Commission for “putting all of its eggs in one basket” by “ignoring” lead technology and prioritising sustainable mobility. ILA said in a statement that the “expected growth in demand for battery energy storage will make it impossible for a single battery technology” to get the job done alone, insisting that advanced lead batteries, as well as lithium, will be needed at scale. Although lead is an important component in a lot of traditional automotive batteries, the coming electric vehicle boom is expected to be powered largely by lithium-ion power packs. Energy demand is predicted to surge from 15.9GWh in 2015 to a massive 93GWh in 2024. But the Action Plan’s support for the circular economy actually tallies closely with progress in the lead sector, where more than 99% of lead batteries are collected and recycled. 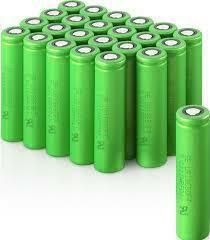 New batteries contain up to 85% recycled materials from European scrap. Under the Plan, the Commission will assess collection and recovery rates for batteries as part of an ongoing review of the Batteries Directive and propose improved criteria and labelling requirements based on an evaluation due in September. Šefčovič pointed out that “higher quality batteries need improved standards” and that “not a gram of precious material should be wasted” if Europe’s industry is to take off in the coming years.